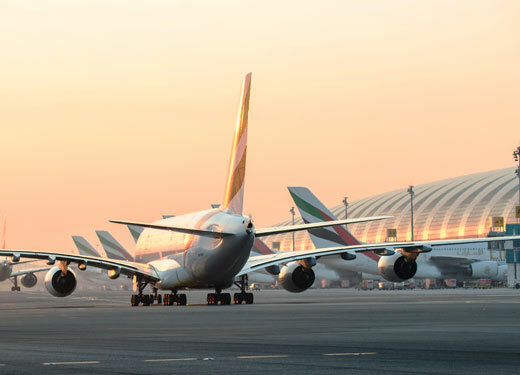 Dubai International Airport looks certain to set another record for international passenger traffic in 2018, with the latest figures for March showing a 4.5 percent year-on-year monthly increase to 7,852,501. The result saw overall passenger numbers for the first quarter rise 1.1 percent to 22,741,194 compared to 22,496,596 recorded during the same period in 2017. The average number of passengers per flight in the first quarter rose to 230, compared to 224 in the same period last year (+2.7 percent). London topped the list of destinations serviced by the airport in March, with 348,434 passengers, followed by 216,970 passengers from Mumbai and Bangkok with 208,873 passengers. India remained the top destination country during March with a total of 1,043,580 passengers, followed by the UK (572,080 passengers), Saudi Arabia (566,292), Pakistan (389,090) and Germany (279,087). Eastern Europe reported the largest annual percentage increase in passenger traffic to Dubai in March (+29.8 percent), followed by the CIS (+28.3 percent). These figures correlate with Q1, 2018 inbound tourism data from Dubai Tourism, which show that visitor arrivals from India reached 617,000, up from 578,000 a year earlier. Saudi Arabia was Dubai’s second-most important source market in Q1, with 434,000 arrivals, while the UK ranked third with 323,000. Arrivals from Eastern Europe and the CIS regions were up 10 percent year on year during the same period, while the number of visitors from Western Europe rose 23 percent. Meanwhile, at Dubai World Central (DWC), Q1 passenger traffic reached 334,455, marking a marginal (0.2 percent) year on year rise from the 333,780 passengers recorded in Q1, 2017. The largest proportional rise in passengers came from the CIS, which accounted for almost half of all passenger traffic at the airport during the quarter (191,026 passengers) and marking a 217 percent increase compared to the same period in 2017. Eastern Europe was the second largest contributor to passenger traffic at DWC with 60,592, followed by the Middle East (23,404 passengers).